Now 33, Hutchings first began garnering attention as a member of Melt Yourself Down, the “Nubian party punk” band led by fellow saxophonist Pete Wareham. 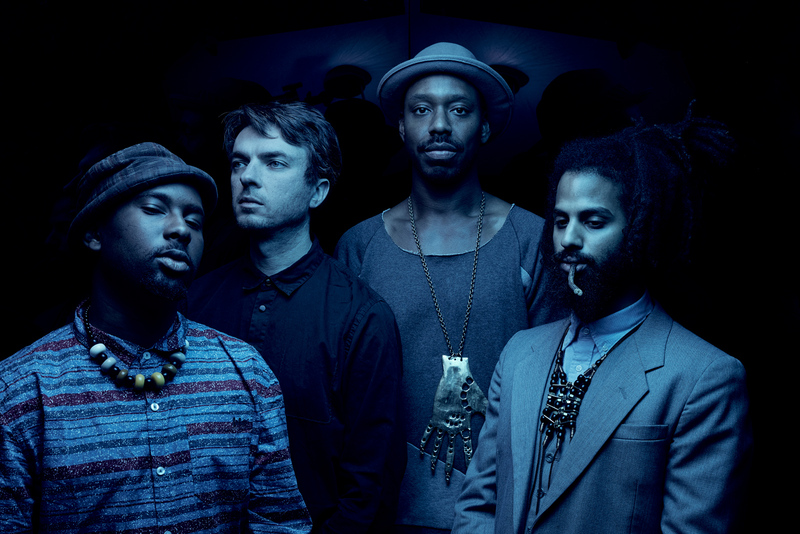 Sons of Kemet (“Kemet” being the pronunciation of the ancient name of Egypt) marked his first group as a bandleader, and 2013’s Burn and 2015’s Lest We Forget What We Came Here To Do, both released by the UK label Naim Jazz, received significant acclaim, including a nod from influential DJ Gillles Peterson. Sons of Kemet’s new album, Your Queen Is a Reptile, their first record for Impulse!, is the band’s most fully realized creation yet, powered by Hutchings’ blazing, incendiary saxophone, Theon Cross’ tuba blasts, which sound like funky bass lines, and the high-octane interplay between multiple drummers (a revolving cast that includes Tom Skinner, Seb Rochford, and Eddie Hick). Some “queens” are historical figures deserving of more widespread recognition, like Anna Julia Cooper, a scholar, author, and educator born into enslavement in the 1850s but who became one of the first African-American women to earn a doctoral degree, often referred to as “the mother of black feminism” (“In the age that she lived it was unusual for black men to have that much education, let alone black women,” says Hutchings, “so for a woman to go, ‘No actually, intellectually I have something to offer, I’m going to progress,’ that’s inspirational to say the least”); Nanny of the Maroons, a leader of Jamaica’s 18th century community of escaped slaves who repeatedly fought off British attempts to conquer their free settlement during the 1730s (“To know there was a situation where a woman was at the forefront of actually keeping a community from the outside of the occupation of the British, to me that’s mind-blowing in the Caribbean context”); and Yaa Asantewaa, queen mother of the Ashanti Empire who led her people in a war against British colonialism in 1900 in what is now modern-day Ghana (“She basically said that if the men don’t want to go and resist British occupation, the women will do it”).